Leonardo da Vinci International Airport, situated in Fiumicino, is the major airport in Italy. Leonardo da Vinci Airport also known as Fiumicino Airport, officially opened on January 15, 1961 with two runways. 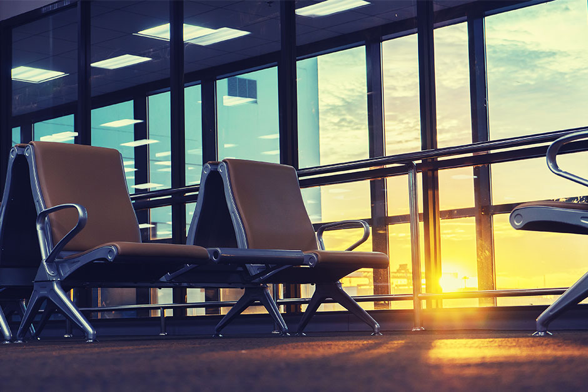 Leonardo da Vinci International Airport plans to construct an environmentally-friendly cogeneration (combined heat and power) system, which would allow the airport to produce its own energy. Leonardo da Vinci International Airport (IATA code: FCO) is one of the busiest airports in Europe and the hub airport of Alitalia. Flights to Leonardo da Vinci Airport are provided by international airlines, including South African Airways, Swiss International Air Lines and Turkish Airlines. FCO is a 40-minute drive from the city centre of Rome. Book your cheap flights to and from Leonardo da Vinci International Airport online! Leonardo da Vinci International Airport is the eighth-busiest airport in Europe. It is officially named Aeroporto Leonardo da Vinci, in honour of the Italian inventor/polymath. Leonardo da Vinci International Airport is served by approximately 150 international and domestic airlines. In 2016, the airport recorded 41.7 million passengers passing through its doors. Leonardo da Vinci-Fiumicino Airport was officially opened in 1961 but it was in use since 1960. It had been used to assist with air traffic that was congesting Rome Ciampino Airport during the 1960 Summer Olympics. Leonardo da Vinci International Airport offers travellers a wide variety of restaurants, bars and cafés to choose from. Grab a meal or drink at the various establishments in Terminal A, B and C.
Shops at Leonardo da Vinci International Airport affords exciting shopping opportunities. Duty-free shops are located in the airport’s passenger station C. Shop at the stores for toys, clothing brands, gifts, amongst other last-minute essentials. The Leonardo da Vinci International Airport departures terminal has luxurious lounges for travellers flying with Alitalia, British Airways and Air France. Leonardo da Vinci International Airport has a wide range of facilities, including a First Aid station, a tourist information office, ATMs, a nursery and the Atahotel Executive Centre. This 3-star retro styled hotel is a beautiful resort to embrace sunsets and the sea. It is a 25-minute drive from Leonardo da Vinci International Airport. Amenities include Wi-Fi, room service, a garden and a free buffet breakfast. This beautiful mid-scale hotel is a stone’s throw from the sea, and it is an 8-minute drive from Leonardo da Vinci International Airport. Amenities include free Wi-Fi, a swimming pool, a shuttle service, a wine bar and restaurant. This 4-star hotel is the ideal hotel to take rest at between visiting the incredible city attractions. It is a 5-minute drive from the airport. Amenities include Wi-Fi, free parking, Sky TV channels and a laundry service. Travellers are advised to order foreign exchange online up to 60 days in advance of the collection date. Orders can only be collected by the person named on the order form. There are banks in all three terminals which include foreign exchange amenities. There are a number of parking options for short and long-term parking at Leonardo da Vinci Airport. • A “Kiss & Go Area” – you are allowed to stop for 15 minutes. • Parking in a 1-hour area in front of the terminal. • Parking in one of the multi-storey car parks. • Parking in the long-term car park that is a 10-minute shuttle ride from the terminals. • A convenient and more expensive alternative is – parking in one of the multi-storey car parks in front of the terminal. You are encouraged to book online and pay in advance, for stays of eight hours or more. This way, you will save money. Leonardo da Vinci International Airport is located 35 km west of Rome’s historic city centre. Uber, trains, metered taxis, buses and car hire options can be used to transport you from the airport to your Italian destination.